What is it to face one's death, to know the hour draws near? What does life mean when confronted with the end of existence? Susana Moreira Marques explores these profound questions in her new book. Based on her experiences accompanying a palliative care team in northern Portugal, this book is part philosophical treatise, part biography. The author becomes the voice of those facing the end, telling their stories elegantly, beautifully. The first section of the book examines the space in which death takes place; the way a life shifts gears to accommodate the dying. In her Travel Notes About Death, the writer draws out the beauty of existence: the wild cherry trees, the swallows overhead. The world around us becomes heightened, sensual, and this is only because death is drawing in. 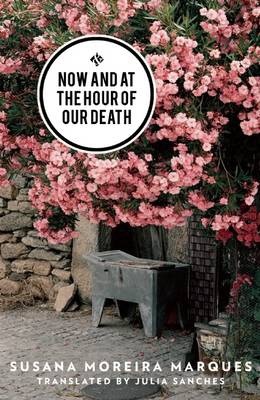 Death is a difficult subject to approach with levity, yet there is a quiet grace to Marques's writing which prevents the book from indulging misery. The people she meets have their own stories: lives cut short at too young an age, children left behind to make sense of a world without their parent. Importantly though, this book is as much about family as it is about dying; the daughters who flail in the wake of their father's death, the large family which carries on. Now And At The Hour Of Our Death is a beautifully crafted, powerful meditation on the nature of existence.